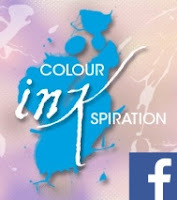 Welcome to the second Colour INKspiration challenge for the month of June. 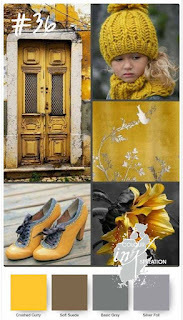 For this challenge we are using these wonderful images to provide the colour inspiration to our projects. The colours are - Crushed Curry; Soft Suede; Basic Grey; and Silver Foil. I have to admit I struggled with this challenge just a little bit. Firstly I started to think I would make a project with Animal Outing which would be perfect with the giraffe, rhino and kangaroo images ... but that didn't work out quite like I was hoping. Second attempt was to make a card using the flower image from Beautiful Promenade and some of the beautiful Delightfully Detailed Laser-Cut Speciality Paper, but that didn't really work either ... BUT I did love the flower and used it in my final project. 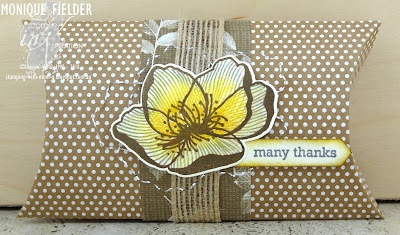 To create the look of the flower I stamped the solid outline in Soft Suede, then inking up the centre with Crushed Curry and then used my sponge dauber to add some subtle Basic Grey to the outside of the stamp. I was pondering what to do then spotted my new cute little Kraft Pillow Boxes, which are great value costing only $8.75 for 10 boxes! They have this cute little polka dot pattern that is pretty and subtle, and neatly hold three Lindt chocolates. I added a strip of DSP from Nature's Poem, I like the subtle leaves on this paper, adding foliage without the need to add extra texture and layers. I finished this off with some Burlap Ribbon and pulled some of the silver threads from the Silver and White Baker's Twine which I looped behind the flower. I hope you are inspired to join us for this challenge, if so use the challenge colours in your project and add a picture of it to the CI Facebook Page. Time to hop on over and see what Jackie has created. I haven't gotten any of those pillow boxes yet, but I see it's time! This is delightful packaging. Beautiful Monique, I adore these little pillow boxes. 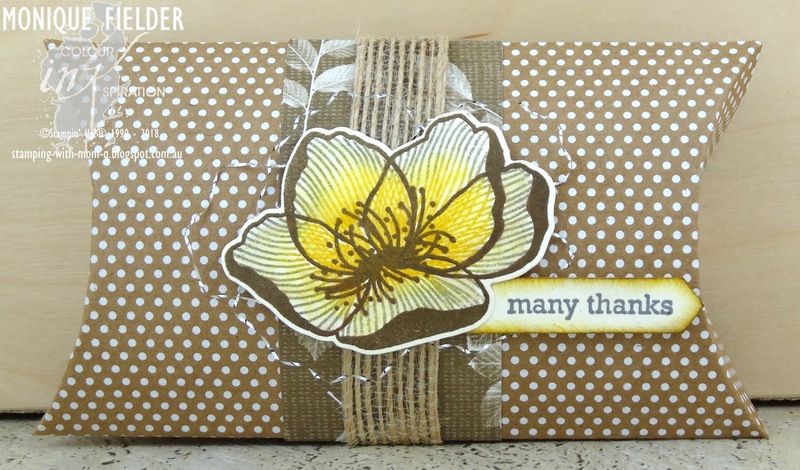 They create perfect little gift packages. 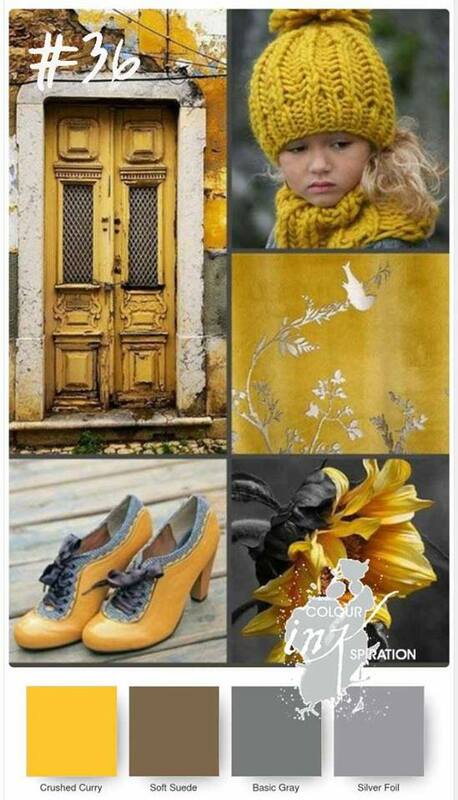 These colours are just perfect and look amazing the way you have set them out. Third time lucky ... you did good!! !